HSM - About to take a shower? Home> Events >A+A Trade Fair & Congress >About to take a shower? 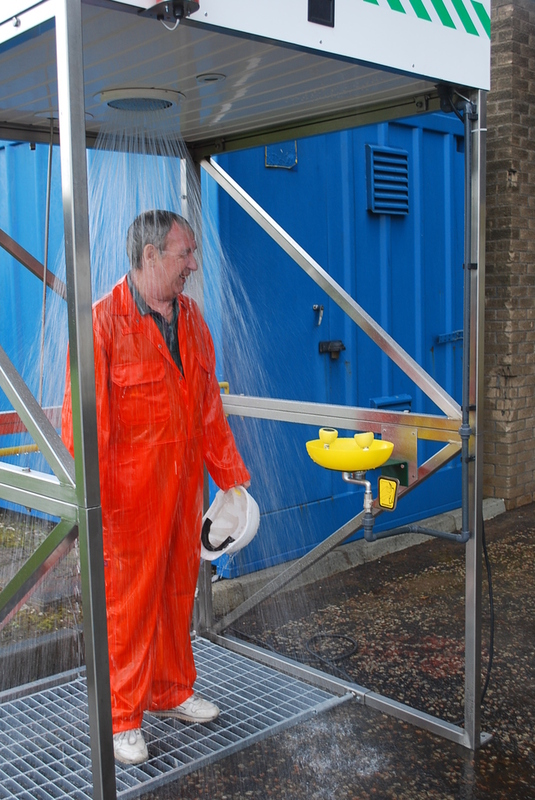 Home> Managing Health & Safety >Decontamination Showers >About to take a shower? Home> Managing Health & Safety >Eyebaths >About to take a shower? One of the most significant areas of the standard covers water temperature, stating that tepid water is crucial, but often overlooked and defines it as; A flushing fluid temperature conducive to promoting a minimum of 15 minute irrigation with the suitable temperature range being 16°C – 38°C. The water flow rate needs to be 75.7ltr per minute for the full 15 minutes. Medical professionals recommend that tepid water is used to treat chemical injuries to eyes and body tissue because temperatures that exceed 38°C can enhance chemical interaction with the eyes and skin and additionally, flushing liquid temperatures below 16°C can cause hypothermic shock. For more information on the ANSI Standard visit Empteezy at A+A.